It is always best to put your trust in professionals when it comes to your home and your pets. We would all like to think that we can do it all, but there is comfort in the fact that we do not have to. By entrusting a company who specializes in home carpet cleaning in addition to tiles, rugs and upholstery you can lighten your own workload and know that your beautiful home is in good hands. You will not have to worry about disturbing pet odor or unsightly chemical stains from over the counter cleaning solutions. With us you can be rest assured pet and eco-friendly products are used, so both you and your pet will be able to enjoy the newly cleaned surface. 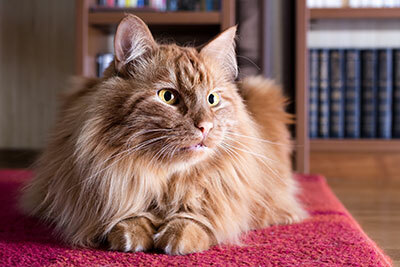 We have been working on various types of pet stains from various pets on various surfaces, including wooden floors. Leave it to our professionals, and enjoy a clean, fresh carpet once again! We at Carpet Cleaning Anaheim want to be your number one choice when it comes to helping you keep your house, carpets, rugs, tiles and furniture in perfect condition. We know how demanding owning a furry friend can be, and want to do everything in our power to make sure you enjoy a clean house regardless of how messy your pet got it. We want you to put your feet up with your pet on your lap and relax as we do our best to get your house back in shape.